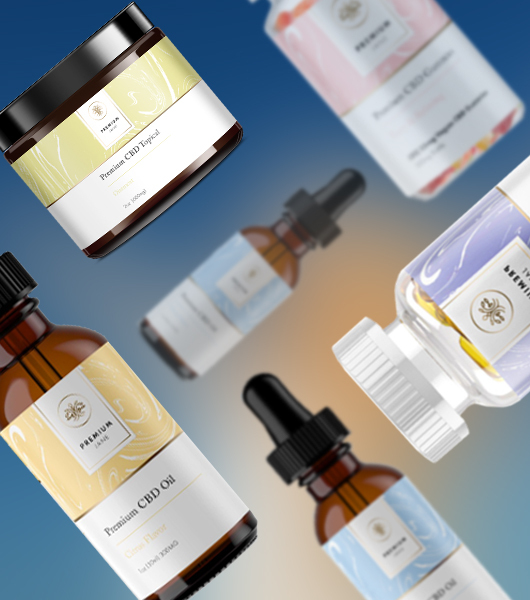 Premium Jane is a CBD oil company that hails from the relentless southern California L.A. sunshine – right smack in the middle of what some might call the cannabis industry epicenter. From time to time we are contacted to “test out” a new CBD product from some brand with the hopes of receiving a positive review here on the site, but in all honesty, most of the stuff we get probably isn’t worth the shipping costs that they wasted to send it to us. Premium Jane, on the other hand, was a massive exception. My wife and I have been fortunate enough to be able to try both their oral CBD tinctures and their softgel CBD capsules, and I must say that they rank up there with some of the finest products we have ever used. In this Premium Jane CBD oil review, I discuss what I liked best about the products, what I disliked about them, and how they stack up against some of our all-time favorite CBD brands. As I’ve said, Premium Jane CBD is a small company that introduced themselves to the blossoming CBD market back in the summer of 2018. In fact, they’re based in the same general area as PureKana – one of my wife and I’s personal favorite CBD oil brands that we have been using for almost two years. In fact, they even use the same analytics lab to test all of their products (ProVerde Laboratories), which is a good indication that they are sparing no expense to produce truly premium-quality products. They currently offer four different products sourced from Hemp Pilot Research farms in Kentucky: standard CBD oil tinctures, softgel CBD capsules, a therapeutic topical CBD cream, and CBD gummies made from a THC-free isolate extract. They also offer shipping to all 50 U.S. states, indicating legal manufacturing under the Hemp Farming Act of the U.S. Farm Bill. They use one of the industry’s most reputable analytics labs. 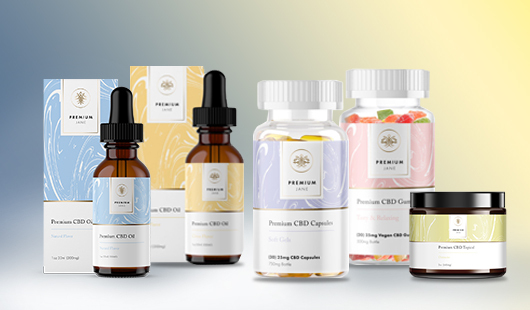 As I’ve said, the fact that Premium Jane uses ProVerde Labs to verify their CBD content tells us that they mean business in creating an absolutely top of the line product. Extraordinarily fresh and pure taste. I have been using Pure Kana Mint CBD oils for going on two years, but in all honesty, I think I like the taste of the Premium Jane Citrus CBD oil even better. And at a slightly cheaper price and seemingly equal effects, I might just be switching over permanently. Low-temperature CO2 extraction. Low-temp CO2 extraction is an absolute necessity for extracting medical-quality CBD oil, as exposure to high temperatures will denature the active compound, rendering it ineffective. Kentucky Pilot Hemp farms. Not many CBD oil companies have commercial agreements with Hemp Pilot Research farms in Kentucky, but those who do have access to some of the country’s (and the world’s) finest raw material. Unquestionable potency and effectiveness. 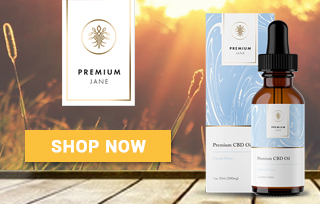 I’ve taken a lot of CBD oils over the years where you have to question whether or not you actually feel any therapeutic effects, but with Premium Jane, the relief for my lower back pain was fast-acting and unmistakable. I am racking my brain trying to come up with something negative to say about Premium Jane CBD oil, and am coming up at an absolute loss. I suppose if I have to say something I’ll say that the lack of customer reviews and feedback is unfortunate, but this is simply due to the fact that the brand hasn’t been around for too long. Give them some time, and they’ll be right up there with the big dogs in the industry. Mark my words. If you’ve read my previous CBD oil reviews you’ll know that my wife and I both take CBD pretty much every single day of our lives, myself using it for chronic leg pain that stems from a spinal issue in my lower back, and my wife taking it for sporadic anxiety episodes and chronic sleep issues. I used the 600mg Citrus-flavored oil and took twice daily doses of 40mg, and the results were incredible. The inflammation and pain-relieving effects kicked in quicker than I’m used to (I’d say I noticed peak effects in less than a half an hour), and they easily lasted the full 12 hours until my second daily dose. My wife used the 25 mg CBD softgel capsules, and claimed that they honestly worked as well as anything she’s ever used for sleep aid. She (thankfully) hasn’t had any major anxiety episodes since we’ve received the sample products, but we both imagine that either the oil tincture or the capsules would work incredibly well for that as well. Premium Jane also offers a 750mg topical CBD cream and 25mg CBD isolate gummies (100% THC-free), but we have not yet tried either one of these. Premium Jane Softgel CBD Capsules: The softgel capsules are pre-dosed at 25mg CBD each, and come in bottles of 30. Premium Jane CBD Gummies: The CBD gummies are the only one of Premium Jane’s products that are made from CBD isolate, meaning they are 100% THC-free. A good option for those who are concerned about or subject to routine drug testing. (Trace amounts of THC in full-spectrum CBD products has been known to show up on drug tests if taken in exceptionally high doses). All in all, this Premium Jane CBD oil review can guarantee you one thing: I will absolutely be buying more of their products in (the very near) future. In fact, like I said I may very well be switching over permanently to them from my longtime status as a Pure Kana user for my chronic pain. I find the Premium Jane Citrus-flavored oil to be better than Pure Kana’s Mint or Vanilla extracts, and with seemingly equal therapeutic effects and a slightly cheaper price point, Premium Jane has got me seriously leaning towards become a long-term customer. 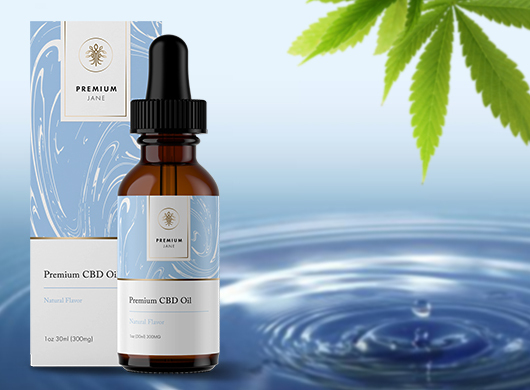 Whatever you do, make sure you keep an eye on these guys in the future – “Premium Jane” will likely be a household name in the CBD market sooner rather than later. Long day at work? Had an argument with your boss? I recommend Premium Jane CBD Oil to get rid of your frustration, unwind, and relax after a demanding day. At 25mg each, these gummies come in handy for almost any bout of anxiety I feel throughout the day. I never have to worry about what others think when I take my CBD capsules because they look just like any other medication! Due to constantly changing shifts at work I was facing sleep issues. CBD Oil from Premium Jane not only helps to catch on the much needed sleep, but it also increases my productivity at work. At 35mg per capsules, these are the perfect potency to help remedy tired muscles after my daily cycle. Grady from Ashburn just bough! Presley from Ashburn just bough! Margaret from Ashburn just bough!